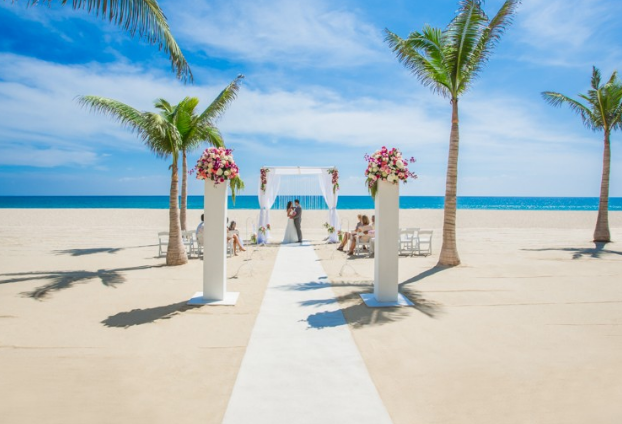 Located in San Jose del Cabo, Mexico, the resort stands on a peninsula which provides gorgeous views of the seas surrounding it and creates an unforgettable wedding experience. 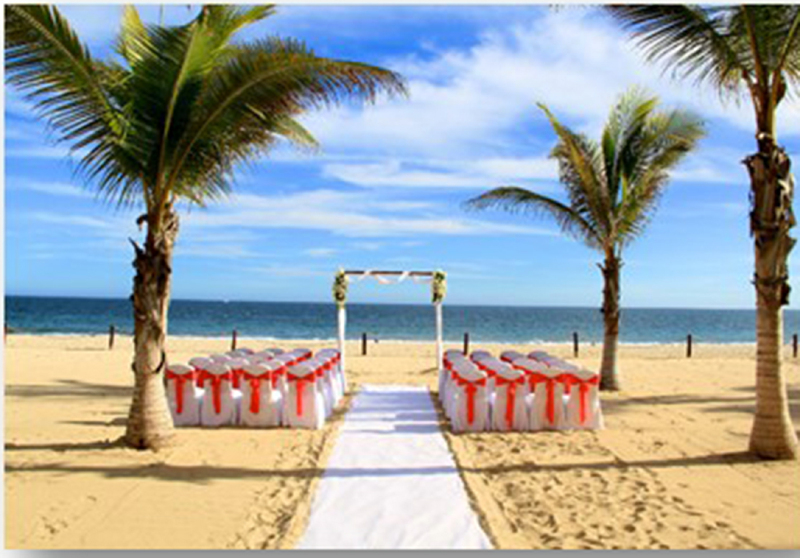 The beautiful white sand against the clear blue waters paints the perfect scene for your ceremony. With a Hyatt Ziva Los Cabos wedding, you and your guests will experience the utmost relaxation through the luxurious guest rooms, spa options, and peaceful pools to ensure that all guests will be satisfied throughout their entire stay. 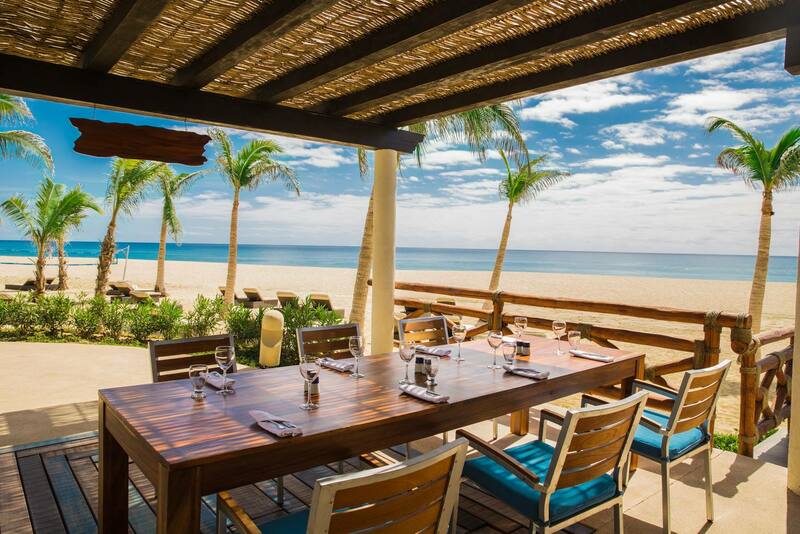 Renovations: The Hyatt Ziva Los Cabos has recently finished major renovations to the resort. 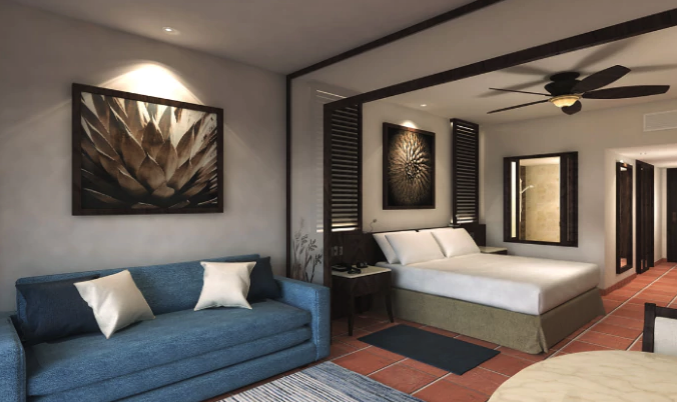 The lobby and gym facilities have been been completely redone, with the newest additions to the hotel being a terrace that allows for incredible ocean views, and 2 new restaurants. The renovations were inspired by the region’s history through the the stunning artwork and ceramics used. The hotel now offers a new 24 – hour business center as well. Take advantage of the fire pits that surround the beautiful pond on the resort’s property, available for you and your wedding guests to relax and enjoy together. For Catholic weddings, there is the Parroquia San Jose church located about 15 minutes away from the resort. The resort offers a massive freeform swimming pool, an adults-only pool, and a separate children’s pool since the ocean can be too rough to swim in at times. The base package is $1125 and includes 10 guests but is complimentary if your party books 15 room nights in The Ziva Ocean View Master or higher category. Upgraded packages, additional guests, and add-ons are available for an additional cost. Guest rooms range from $175 – $285 per person per night. All rooms include a mini-bar and provide complimentary wifi. The Master and Club Suites include a 15% discount at the spa, as well as a personal concierge and private lounge that includes imported liquors, appetizers, and table games. Children 2 and younger stay free. There are 591 total rooms in the resort that offer views of the resort, pool, or ocean. The swim-up suite is recommended for more active guests, with direct access to one of the many pools. The Presidential Suite is for guests who want a quieter and more relaxed stay by including a private plunge pool on the balcony. 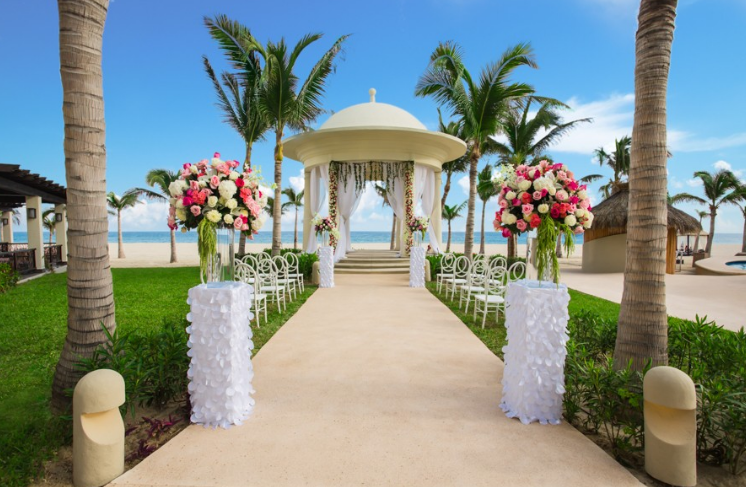 Ballroom – 1000 guests max, Central Beach – 1000 guests max, Hacienda Beach – 200 guests max, Oceanfront Gazebo – 150 guests max. The rooms will allow up to 2 adults and 2 children or 3 adults and 1 child. The Grand Master Suites allow up to 4 adults and 2 children or 3 adults and 3 children. The Presidential Suite, Grand Master Suite, and Master Suite all include two separate bedrooms. Children are ages 13 and younger. The hotel hosts no more than 2 weddings per day at 10am and 1pm. These times are available Monday thru Sunday. 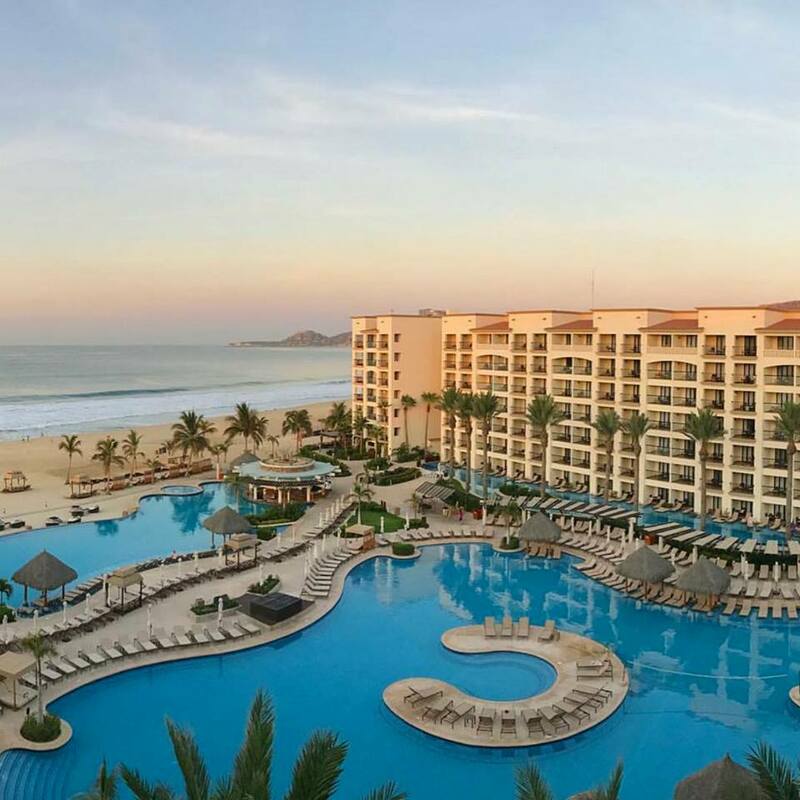 The Hyatt Ziva Los Cabos is located 13 miles from the SJD airport, 10 minutes from downtown San Jose del Cabo, and 30 minutes from downtown Cabo San Lucas. “Highly recommended!! !The best hotel, EXCELLENT service, rooms, beach, activities, food, everything in this hotel is perfect! The rooms are very cleanest, the pool it’s perfect.